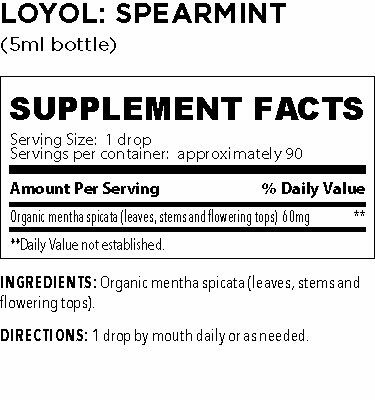 For centuries, in the Eastern Mediterranean region, spearmint has been used as a medicinal plant. 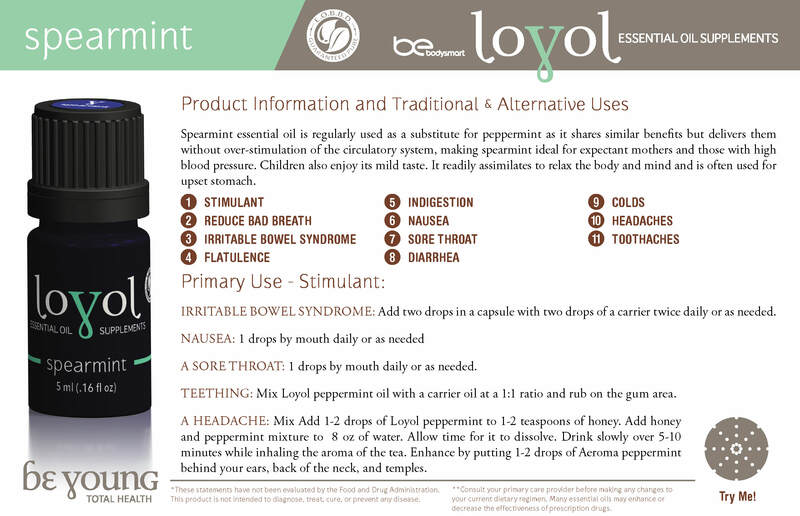 Spearmint essential oil is regularly used as a substitute for peppermint as it shares similar benefits but delivers them without over-stimulation of the circulatory system, making spearmint ideal for expectant mothers and those with high blood pressure. Children also enjoy its mild taste. It readily assimilates to relax the body and mind and is often used for upset stomach.